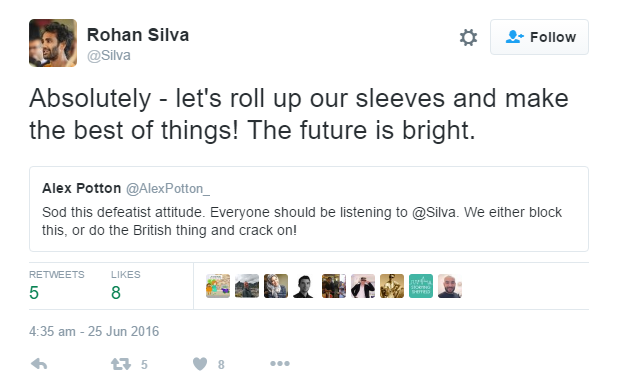 Business Change: Why Brexit should be a trigger for action. Well it’s been a couple of months now since the Brexit vote. 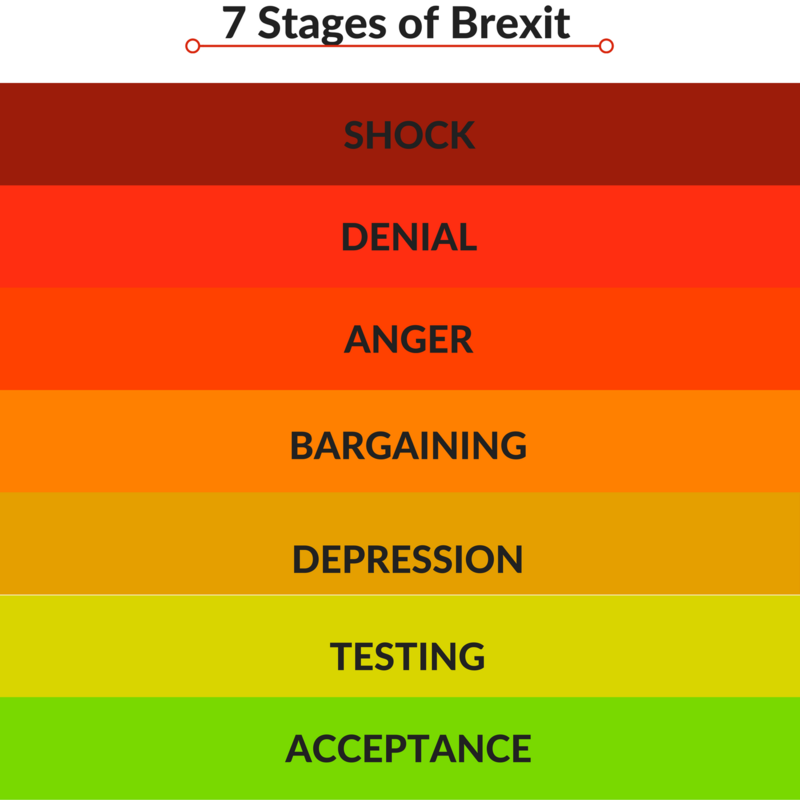 You probably all saw the Seven Stages of Brexit doing the rounds on the internet at the time. I wonder what stage we’re at now? I think we’re probably at acceptance. At least in the business world. Albeit that the political powers that be are still working through the stages. It’s easy to see how the same things could happen again. There’s so much being written about Brexit (yep, I’m adding to it!). There’s a danger of analysis paralysis. The bulk of it is just conjecture – as no one really knows how this is going to play out or what the specific challenges will be. With all the uncertainty, obviously businesses aren’t going to be gung-ho. And it makes good business sense to be cautious in times like these. However, too much protective caution and too much of a ‘wait and see’ attitude could actually increase the risk of a negative business impact. Whilst you’re dithering, there is a risk that your competitors get a head start – by being pro-active in their response to the opportunities and challenges of Brexit, streamlining their businesses, and ensuring they are at the top of their game. Optimum are all about business change and system change projects – so it’s fair to say it’s in our interests for businesses to carry on with business change projects! But we’re doing the same ourselves. We’re at a key stage of growth in our own business and this year we’re investing in our own People, Processes and Systems to give us a robust platform to grow from. Don’t get me wrong – there are days when I question whether the time is right to stick to our current business plan. But we need to kick on. Now more than ever. And it got me reading some of Rohan Silva’s articles. He didn’t vote Leave but he’s basically saying: It’s not the way I wanted it to go, but let’s get on with it. Let’s get ourselves ready to not only absorb the changes but actually kick on and use it as a platform to be even better. OK, so you might not agree with the solution and approach (let’s not get into tax debates!) – but I like his attitude. I strongly believe that the businesses that do well in the months and years ahead will be those that take action now. Ask yourself – are your People, Processes and Systems optimised and ready for the challenges ahead? Request a FREE ERP Health Check– We’ll help you identify areas for improvement, bring out the underlying issues, and importantly, give you practical options on how to tackle them.